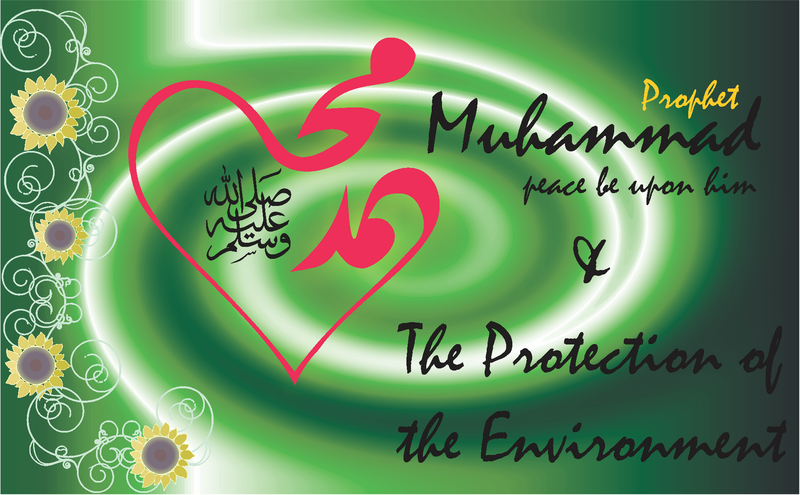 As Muslims we look a closer look what was the teaching of this great personality Nabie Muhammad (SAW) on environmental ethics. The term “environment” and related concepts like “ecology”, “environmental awareness” “sustainability” , sustainable development and global warming are modern-day invented,terms that were formulated in the face of growing concerns about the contemporary state of the natural world around us. The environment was always there and humanity always lived in harmony with it. It is since the last two to three centuries that there was a dramatic change globally in the world around us. Let us look at the wisdom of the teachings of Nabie Muhammad (SAW) and see how much solutions there are for these modern terms. Nabi (SAW) showed a great enthusiasm for plants and trees. The Prophet Muhammad (SAW) encouraged the planting of trees and the cultivation of agriculture which are considered as good acts. This is illustrated in the following traditions: Narrated by Anas bin Malik (RA) that Allah’s Apostle (SAW) said: “There is none amongst the Muslims who plants a tree or sows seeds, and then a bird, or a person or an animal eats from it, but is regarded as a charitable gift for him.”‏ (Bukhari). In another narration Jabir (RA) reported that Allah’s Messenger (SAW) said: “No Muslim plants a tree then whatever is eaten from it is charity for him, and whatever is stolen from it is charity for him, and whatever the beasts eat from it is charity for him, and whatever the birds eat from it is charity for him, and whatever is lost from it is charity for him” (Muslim). This refers especially to fruit bearing trees and crops. This hadith is an indication that the reward for the person who plants a tree or a crop continues as long as the produce of this tree or crop is eaten or used. The Prophet (SAW) knew the value of planting and cultivation. Planting of trees results in more nutritious food for man and beast, it serves as a shade from the burning sun especially in hot areas, it supplements the oxygen in the atmosphere. In certain areas it prevents soil erosion and prevents mudslides. It is also home to several insects and animals. The lote-tree grows in the desert and is very much needed in an area which has scarce vegetation. Dr. Al-Qaradawi understands this Hadith in terms of protecting the natural resources and preserving the balance that exists between the creatures in the environment Destruction of plants on a big scale can lead to an imbalance in the ecosystem. In certain areas it can affect the rainfall; it can also lead to erosion of soil due flooding and wind. The devastation caused by deforestation in many countries causes soil erosion and kills many of the biodiversity of the earth. Planting of more trees will restore the earth’s health –reduce soil erosion and flooding, there will be a recycling of rainfall inland and there will be a restoration of aquifer recharge. Sustainable use of land should prevent desertification and land degradation. Unsustainable use of land affects the physical space, the topography, the natural resources of soil, the mineral deposits, water, as well as plant and animal life. The expansion of human activities has affected the quality of the land. It causes instability of the earth’s ecosystems. It leads to the disruption of the global nitrogen cycle. Saving of water and using it sparingly were pointed out by the Prophet (SAW) to his companions. When the Prophet (SAW) saw Sa’d performing wudu he said : “What is this? You are wasting water.” Sa’d replied: Can there be wastefulness while performing ablution? The Prophet (SAW) replied: “Yes even if you perform it in a flowing river.” (Ibn Maja). In addition to encouraging water conservation, the Prophet SAW) himself set the example; for instance it is narrated by Anas: The Prophet (SAW) used to take a bath with one Sa’a (one Sa’a equals 2.4 litre) of water and used to take ablution with one Mudd (2/3 litre) of water. ( Bukhari). Wastage of water causes deficiency in nature and it affects the ecological balance. It violates the rights of forthcoming generations to live in a healthy environment. All living beings are affected by water wastage. The Prophet (SAW) was also concerned about the purity of water. The Prophet warned against water pollution by forbidding relieving yourself in stagnant water. The Prophet (SAW) said: “Be on your guard against three things which provoke cursing: easing in the watering places, and on the thoroughfares, and in the shade (of the tree)”( Abu-Dawud ). This hadeeth prohibits humans from defecating at places frequented by others and also teaches them that human waste has its specific place. If it is dropped at unguarded areas it can cause a health hazard and can lead to many illnesses. The world is moving into a water stress era. Water tables are falling in almost every country that irrigates under –ground water. Farmers are losing water to the ever growing cities. Glaziers are melting faster than expected due to global warming which results in mountain peoples’ reduction in their water supply. Underground water becomes contaminated due to mining activities in many areas. Every citizen of the world has to adopt a water conservation attitude. The animals and insects play a vital role in the ecosystem of the earth. The species should be respected, protected and not to be destroyed. If a species become extinct it can never, ever be replaced and a whole ecosystem with many lives can be affected. It is important that man does not become a perpetrator of this great sin. The animals and the insects have a right to share mother earth with humans. The Prophet (SAW) showed great gentleness towards animals and he was also extremely sensitive to the suffering of animals. Any killing of animals without justification in Islam is not allowed even if the victim is a very small animal or bird. This is stipulated in the hadith in which the Prophet (SAW) said: “No human being kills a sparrow or [something] larger, without right, except that Allah will ask him about it (hold him responsible!) on the Day of Judgment” It was asked: O Prophet of Allah! What is its right? He said: ” Its right is that you slaughter it and eat it, you do not kill it and throw it away.”(An- Nasai). Allah (TA) will make justice with humanity if they abuse the animals without justification on the Day of Judgment. Global warming has a significant impact on the biodiversity of the earth which contain much of animal life. We are still presently discovering many new species of animal life but we have recently discovered many species of the fauna are already extinct or on the brink of extinction. Destruction of habitat and over-harvesting are destroying animal life on great scale. The world is suffering due to deforestation and Nabi (SAW) showed us the importance of trees and plants. Land degradation and desertification is practiced by many countries world wide and sustainable use of land is in our Islamic teachings. Developed as well as developing countries are suffering from water stress and how to overcome this was given to us 14 centuries ago. Biodiversity of the world is suffering and this includes over-fishing and over-hunting due to human activities, but the Prophet (SAW) taught us the value of animal life. There is a message for world conferences and meetings. Sh. Dr. Muhammad Ridwaan Gallant is the Head of the Environment Desk at the Muslim Judicial Council (MJC) and also an Executive member of SACEI ( South African Faith Communities Environment Institute).